But for this self-defined 'lover of mountains' nothing but a vertical cliff edge would do. 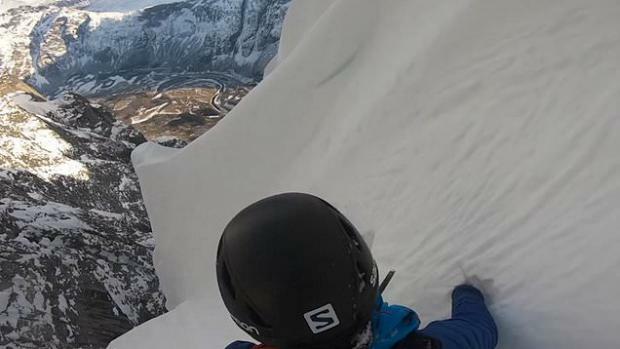 Kilian Jornet, 31, was the first person to ski down Europe's largest vertical scarp - Troll Wall in the Rauma Valley, Norway. Almost a straight drop to the ground the steep skier spent two and a half hours skiing down the 5,500ft mountain - known as Europe's largest vertical scarp.